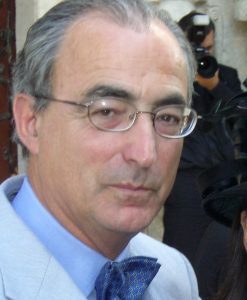 Jean-Pierre Méan is a lawyer qualified in Switzerland and Canada and specializing on corporate governance, compliance and anti-corruption. He has been involved in the introduction and management of anti-bribery management systems in several multinational corporations (including Alcan Aluminium, the Canadian integrated aluminium producer subsequently acquired by Rio Tinto, Landis & Gyr, a Swiss manufacturer of electrical equipment, subsequently acquired by Siemens, and SGS, the Swiss based inspection, verification, testing and certification company) and was the first Chief Compliance Officer of the European Bank for Reconstruction and Development (EBRD). He has conducted numerous due diligence investigations, run confidential hotlines for reporting compliance breaches and managed a major multi-jurisdiction corruption case. He advises corporate clients on anti- bribery prevention, conducts audits of anti-bribery management systems and assumes monitoring assignments related to such systems. He participated in the development of the Business Principles for Countering Bribery issued under the aegis of Transparency International, is a member of the Commission on Corporate Responsibility and Anti-Corruption of the International Chamber of Commerce (ICC) and chaired the Task Force that issued the 2011 edition of the ICC Rules on Combating Corruption. He has also been involved in the Project Committee that developed the new standard ISO 37001 – Anti-Bribery Management Systems published in October 2016 and was the Convenor of the Working Group that issued the Technical Specification on Competence requirements for auditing and certification of anti-bribery management systems. He is now the Convenor of the Working Group dealing with providing support on the standard and issuing a Handbook on its implementation. He is also an ISO 37001 expert for accreditation audits with the German accreditation body (DAkkS – Deutsche Akkreditierungsstelle). His mother tongue is French but he is fully operational in English and German and has successfully conducted assignments in Italian and Spanish.